Founded in 1999, the Washington Brewers Guild has a proud history of getting things done for Washington brewers in Olympia and Washington DC. We are committed to opening up new sales and marketing opportunities for brewers, while maintaining small brewers’ ability to access the marketplace. Our work in Olympia and DC helps support our rapidly growing industry, provides peace of mind for WA brewers and ensures choice for beer drinkers. Among our key successes, the Washington Brewers Guild was instrumental in defeating a recent attempt to increase excise taxes on small brewers by 200 percent and created the Washington Beer Commission, a one-of-its-kind state agency dedicated to promoting Washington Beer. 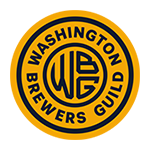 For more information on current Washington Brewers Guild legislative and regulatory activity, visit our members only section.